SHERYL AND I enjoyed our two days off. It's the first time in forever we've stayed in Quincy and done nothing. It was great seeing my old friend David Wilkins and his wife, Susan, who were coming back from Colorado and decided to stop in the Q-Town. Susan was really impressed with Quincy. "It's like a real town!" she said. Then we took her to Woodland Cemetery and she was in awe. They stayed at a very nice hotel in town and were very pleased with the services and hospitality. Come back again when we can hang around for a few days, Susan! Our friends Nick and Lori Hopper came by last night for hamburgers, beverages and stogies, and not necessarily in that order. Well ... Nick and I took care of two of the three. Just before they showed up the sky turned a weird yellow and it was strange outside. 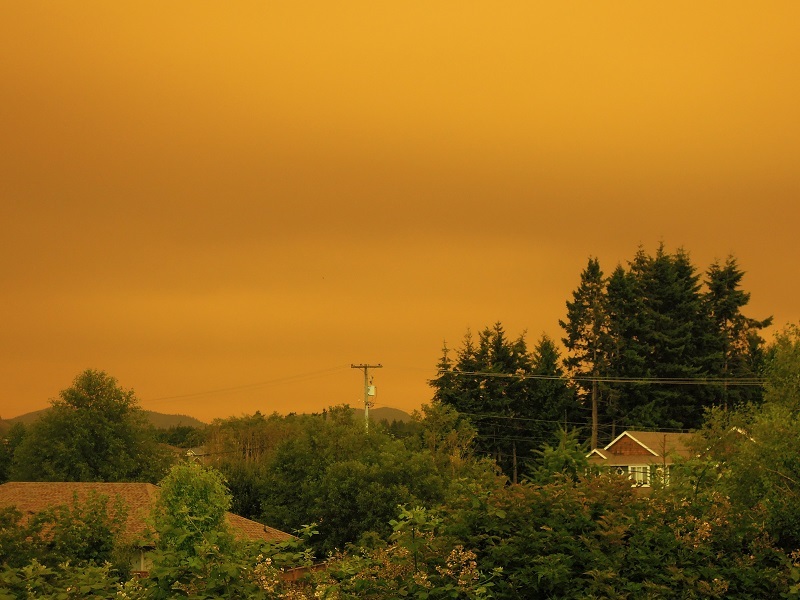 Turns out the smoke from the Oregon forest fires was blowing over the upper atmosphere. Then the moon came out as it got dark and it was glorious sitting by the fire. It was great company and a nice way to cap a restful weekend. Most of the time we go somewhere on Labor Day Weekend. The decision to stay here was the right one. Maybe next year we'll join the annual Hart Sibling Summit in Phoenix or trek back up to a Lake Michigan Beach. But for now, I'm happy we stayed home. Oh, by the way ... another rock and roll weekend awaits! Hey! That's Emily Hart on the poster! Yes, we do have lefties!